If you're looking for a comforting soup that you can feel good about eating, you're in for a treat. 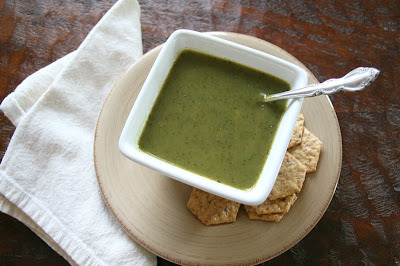 This soup is not only healthy, it's really quite delicious - and my entire family agrees even with the green color. Both children have asked for seconds when we've eaten it. 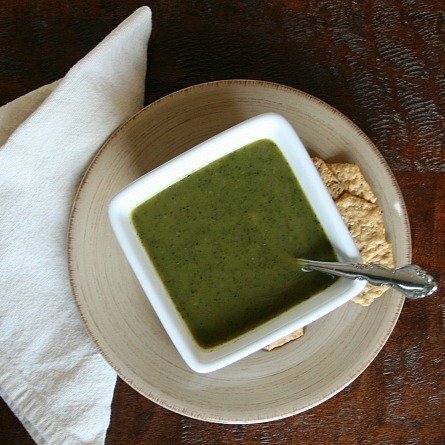 The recipe is just very slightly adapted from the "Kale Soup" recipe in Barbara Kafka's new cookbook "The Intolerant Gourmet: Glorious Food without Gluten and Lactose ." Barbara Kafka not only has celiac disease herself, but she is the author of several other cookbooks and is the recipient of the James Beard Foundation Lifetime Achievement Award. I was contacted with a request to review this book and I'm pleased to say that I've so far tried two recipes from it and the whole family has loved each one. 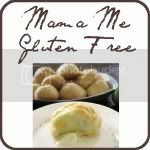 I love that all the recipes are free of both gluten and dairy. While I am lactose-intolerant myself in the form of milk, cream and ice cream in their pure forms (I can cook/bake with them and I can eat a little with a Lactaid), I am able to eat cheese, a little yogurt and butter without problems. However, I know several people who aren't able to eat gluten or dairy, or have children who aren't. This would be a great cookbook for them. Recipes in this book are broken into the following categories: Breakfast; Hors D'oevuvre & First Courses; Pasta & Risotto; Glorious Soup; The Wide World of Salads; Fish & Seafood; Chicken & Other Birds; Beef; Perfect Pig; Lamb; Other Meats; Vegetable Main Courses; Sides; Desserts; Sauces; Basic Recipes (seasonings, stocks, etc. ); as well as a pretty comprehensive section covering starches and information on the different types available in this diet. While the dessert section doesn't include much in the way of baked goods, the recipes look delicious and I look forward to trying them. I especially loved the soup section, which includes a large variety of different kinds of soups. There are a total of 300 recipes in the book, and I think there are plenty to suit any individual's tastes. I don't eat pork because I believe I've developed an allergy to it (didn't really like it before, anyway), or even fix it for my family (my husband cooks up some bacon for himself and the girls on occasion), but I'm sure the rest of my family would like several of the pork recipes offered in this book. Move to large saucepan, add oil (she recommends 1/3 cup in original recipe but I found it worked fine to use less - add more if needed) and cook over medium heat for about 25-30 minutes or until the kale has become soft and dark. If you have an immersion blender, you may want to use it for this next step. I have one, but it's not the greatest so I didn't use it for this recipe. If not, I recommend the blender. I tried this in the food processor first in about 1/4 of the processor bowl (and I have a large processor) and it splattered everywhere and was hot. So, work in batches and add the stock and potatoes to the blender (don't fill too high with hot liquid!) and blend until mixture is smooth and uniform. Add blended stock and potatoes to to cooked kale and whisk together. Salt to taste, and add just a little black pepper if desired. Serve with gluten-free crackers if desired. This recipe made enough for our family of four to make two meals out of it. Note about book review: I was given a free copy of this cookbook for review. The opinion of this book, however, is entirely mine. 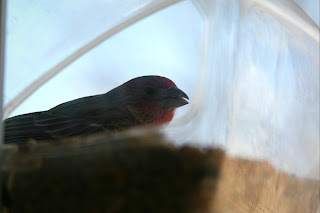 One of our little male house finches, enjoying a meal in our dining room window feeder. Find beauty in your day today! This looks absolutely wonderful. Will have to try it! My boys are getting to the stage where they think it's hilarious if I say we're having something disgusting like "monkey brains" or "green goo" for supper. The color of this soup will delight them and serve as endless fodder for the little boy imaginations. OH Ginny, that is hilarious!! LOL! I'm glad this will serve up nicely with those imaginations! This looks good! I found you through Tidy Mom's SoupaPalooza. I'm your newest follower and I recently went totally gluten free. 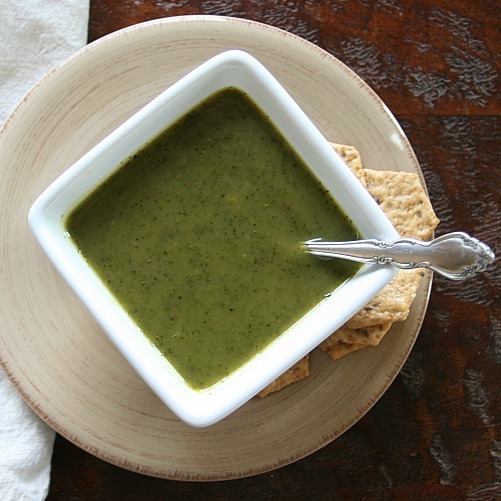 Glad to have a blog with yummy recipes! Hope you'll stop by my blog sometime! Thank you, Shannon, and welcome to the gluten-free life!